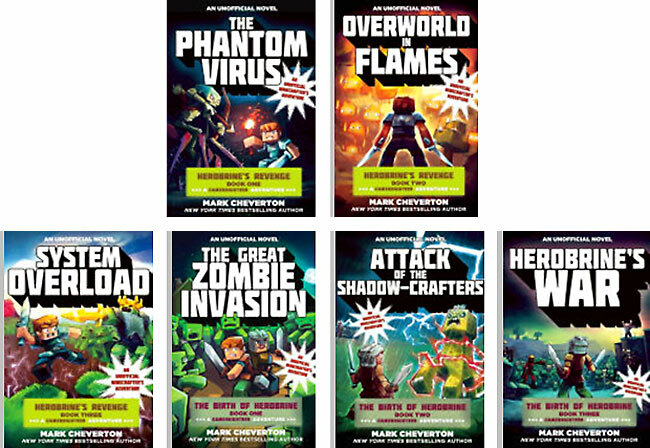 The author, Mark Cheverton is an engineer and because of his son’s (and eventually his) love of the building game MINECRAFT, the author created this adventure series that has become wildly popular. When Mark’s son’s building creations were destroyed in this multi-player game, he saw a teachable moment about cyber-bullying that inspired the first novels. This second series; The Mystery of Herobrine deals with sibling relationships and the challenges of responsibility that evolve out of building worlds together.